This election is about trust. 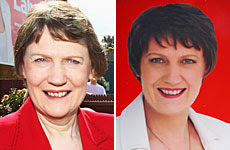 On the left is the Prime Minister. On the right is the person who Labour says is the leader of the Labour Party.